You must make reservations at least 5 minutes in advance of the time at Little Jumbo Restaurant & Bar. Bus stop across the Street. Warm, cozy prohibition era decor in Victoria's 'Old Town". In 1882 Harry Johnson first published the Bartenders’ Manual/Guide for Hotels and Restaurants. He is still known today for his sagacious writings on service excellence and customer care. He bought the Little Jumbo Saloon in New York from a peer and rival named Jerry Thomas who had founded it in 1866. Because of Thomas’ pioneering work in popularizing cocktails across the United States; he is considered "the father of American mixology”. In addition to writing the seminal work on cocktails, his creativity and showmanship established the image of the bartender as a creative professional. We pay homage to these two and our Little Jumbo emphasizes the fine craft of preparing fresh local food with a focus on continental and contemporary and pairing it with fine wines and the best of classic and modern mixology. A particular emphasis is on creating exceptional customer experience, something very dear to Harry Johnson’s heart. Almost terrific. Everything was great except for one, albeit important, consideration- our mains arrived lukewarm. Our server, who was wonderful- engaging, helpful and knowledgeable, warned us that the entrees would be out a bit slowly due to a large party ahead of us. However, that is no excuse. Having said that, the appies were excellent and quite creative. The entrees were beautifully plated and the dessert (rhubarb custard ) was delicious and more than enough for three of us. The best of the three entrees was the flank steak- perfectly cooked and delicious. The duckling was tender but not especially tasty. The atmosphere is upbeat and busy but no undue noise. We had an outstanding meal! All courses were excellent and the service was knowledgeable and friendly. The room is dark, but warm and inviting! You feel as the you are hanging out in an old time speak easy with excellent cocktails at the ready! All round a great experience! 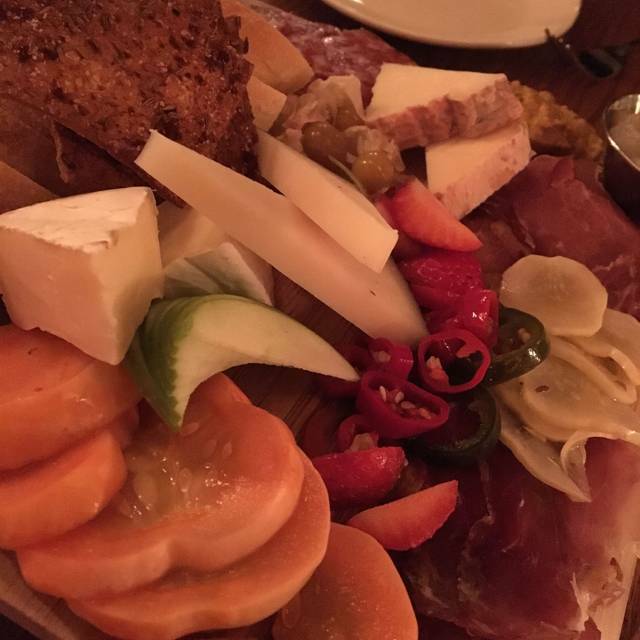 Great food, terrific service. We will be back to try additional menu items. Amazing food and service. I would highly recommend this and will be back! Great food. Great atmosphere. Great drinks. And, very attentive and aware of our daughter's peanut allergy. Amazing, quaint environment. Very intimate location, friendly staff and great service. 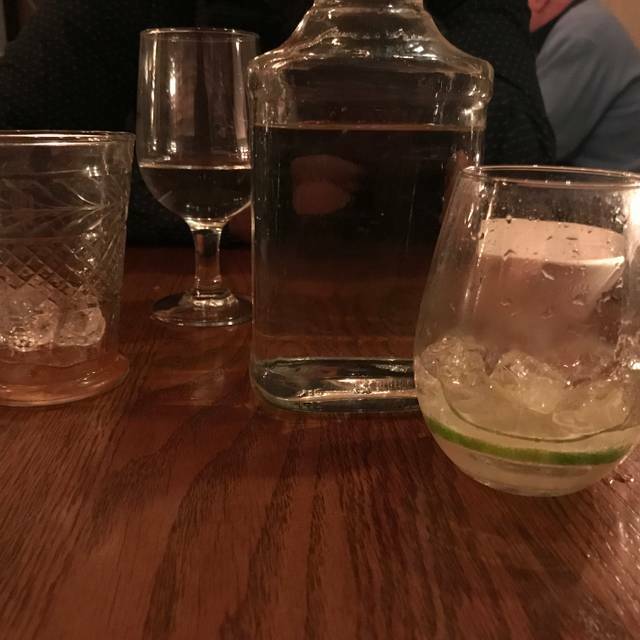 We opted for cocktails over a bottle of wine and were NOT disappointed. This place is rated best cocktails in Victoria and they are correct. The small plates were perfect portions and we left fully but not stuffed! Definitely a place to frequent again! Great ambience. Interesting menu. Starters great - mains disappointing. Would probably try one more time before moving on. Excellent food provides a little taste adventure. Can’t make these dishes at home. Grilled kale salad was a favourite. Cozy atmosphere. Only downside is tables are very close together and noise level is high. Still, outstanding and highly recommend this fir a nice night out. Was served by professional server. I have to admit the noise level was pretty high. Our waitress was incredible! Made great recommendations and was a joy to be around. Amazing experience! Loved every moment of our night. 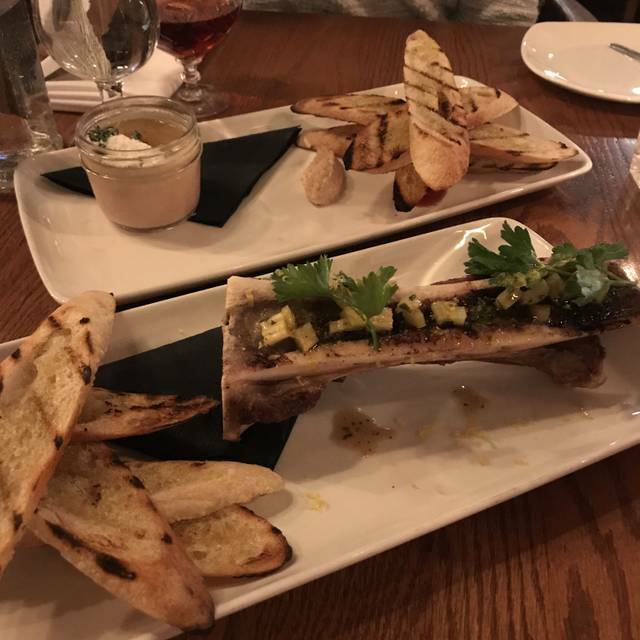 While the food was certainly good and the ambiance is lovely, we had to wait over 30 minutes for our scheduled reservation and weren’t offered more than a few vague explanations as to why the timing was so off. I absolutely love his place!! Great atmosphere, amazing food and drinks and super friendly attentive staff! This place is a goldmine of character. Tucked inside a building with brick walls, over stocked bar. With the best cocktails in town. Service was excellent! The menu is not large but the meals we had were excellent. We were a party of three and had a blast . Definitely will be a return visit. ** You need a reservation most of the time to get in. So plan ahead, so you don’t miss out. Thank you Little Jumbo! We had a very nice date night in Victoria planned and went to little jumbo based on a locals recommendation. They were not wrong. Amazing food beat possibly only by their outstanding and well crafted cocktails. Always have a great time at Little Jumbo. Reminds me of some of the cooler hangouts in bigger cities. Tonight I was with my wife who is following a fairly tough diet for her health. We sat at the bar. Bartender was very attentive and crafted an appropriate drink for her and made excellent menu suggestions. Drinks and food were top-notch as usual. Really if you're looking for a good place to have drinks and a snack or meal, you can't ever go wrong with Little Jumbo. I would personally say it is best for rainy cold days because the only downside is there are no windows. Experience was positive. We were greeted by a staff member who offered to take our coats. Waitress brought menus, water took drink order. All very nice. Food was delicious, 3 of us had the duck confit, absolutely delicious! 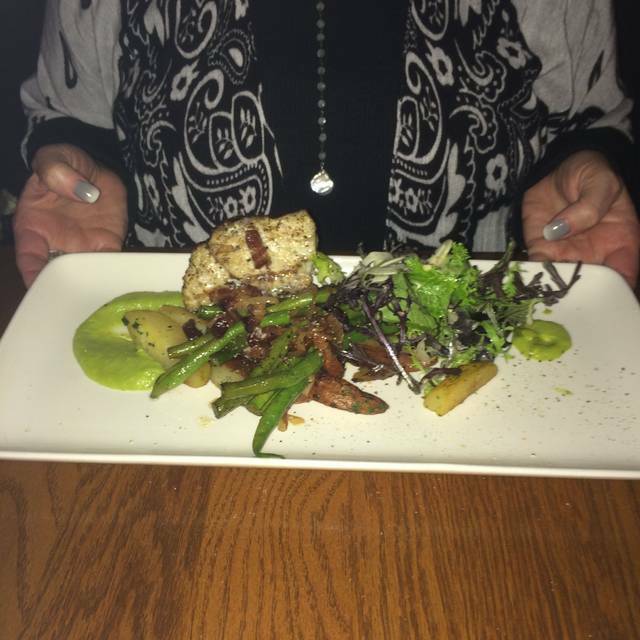 Others had the halibut and cod and both were delighted with their meals. Staff was attentive but not overbearing. Why I did not give this establishment full marks was due to the pettiness of a surcharge on decaf coffee, which I found to be ridiculous. Just go here. 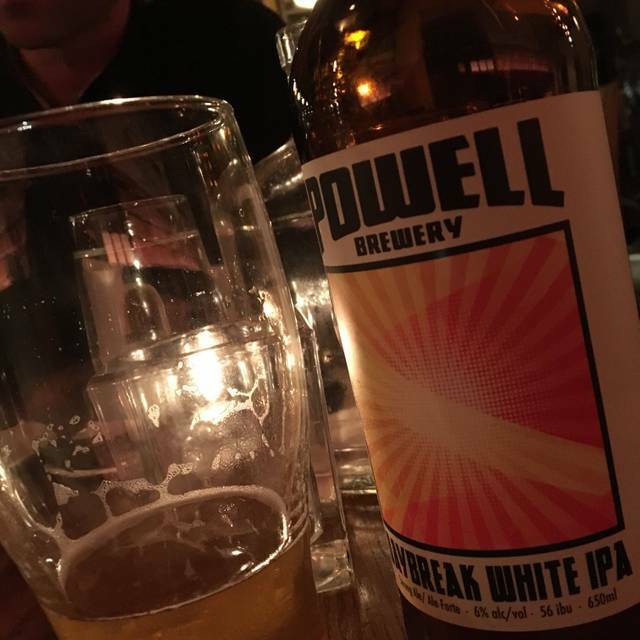 Eat, drink, repeat! Really really good! Consistently a great experience! The new menu is deliciously creative. Try the warm potato salad (fingerlings, puree, bacon), escabeche mussels with veggie fritter... and bone marrow is back! Lots of vegetarian options. 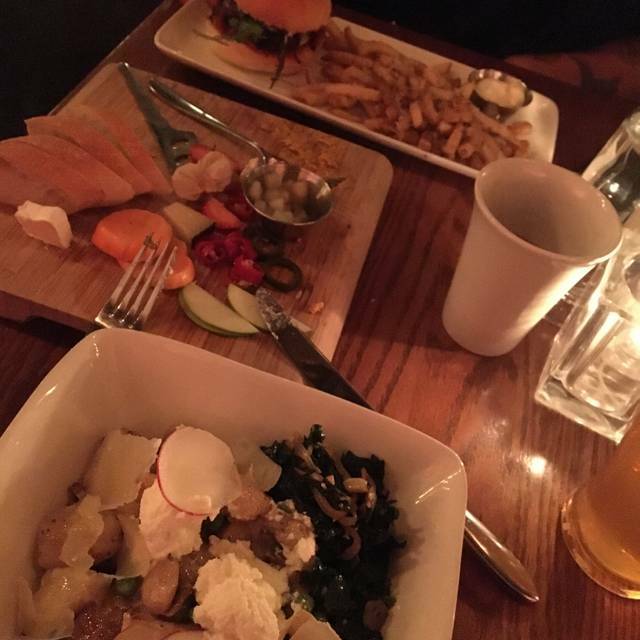 Want to try the lamb burger and grilled brassica next time :) Service is always top notch, and the cocktails are legendary. The wine list needs an update or two. Absolutely great food! A fun place to visit and be at. Great service. Wonderful i was looking for something new for valentine's day and we were not disappointed. Food was tasty ,Adam was an awesome host and Sam our waitress was a delight. always great! cocktails are the best in town. food is consistently delicious. desserts are not quite as good but the overall meal is lovely. 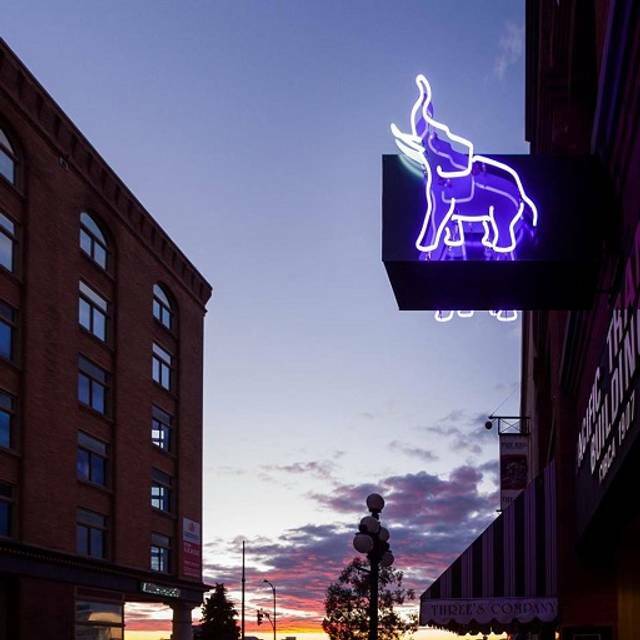 Trendy place where both young hipsters and experienced oldsters can meet to enjoy a common interest in mixology and gastronomy dispensed by the staff at Little Jumbo. Any age will enjoy 'Feeling 23' while nibbling on snacks and share plates or feasting on big plates. The preparation of the food fare is equally as impressive as the cocktails being prepared behind the bar. Has become one of our 'must visit' places when in Victoria. Great service, excellent food and cocktails! Loved the dine around menu and the drinks are amazing! Excellent service, delicious dinner. Definitely warrants a repeat visit. We were new to the restaurant and went for the dine around menu. The food choices were good and the drink menu was extensive. Our server was helpful and attentive. We want to go back to sample the truffle fries and the new menu. Excellent experience all around. Perfect for an intimate dinner for two. Will definitely go there again and will recommend to friends. Really enjoyed the dine around menu, and that there was an option to do smaller sized wine pairings. Our server was fantastic - attentive and genuinely interested in helping with beverage choices and sharing info on the wines paired with dinner. 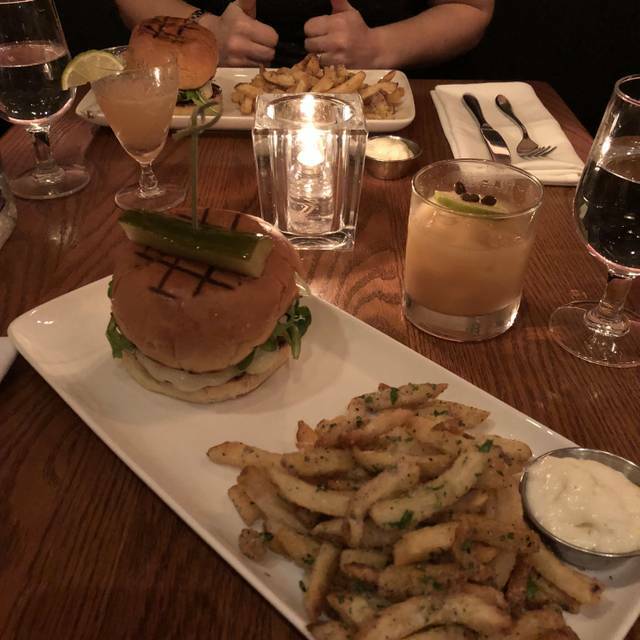 Delicious cocktails and delicious food! I will be haunted by the Albacore Tuna Crudo on the Dine Around menu. Maybe one day it will come back on the regular menu. :) We don't get to Little Jumbo as much as we'd like as we don't get downtown too often. But after this visit, I feel we will make more of an effort to do so. This little "hole in the wall" gem is worth a visit. Fantastic craft cocktails and although they have a limited food menu - everything is fantastic and you can't go wrong. I took my son to Little Jumbo for his 25th birthday. 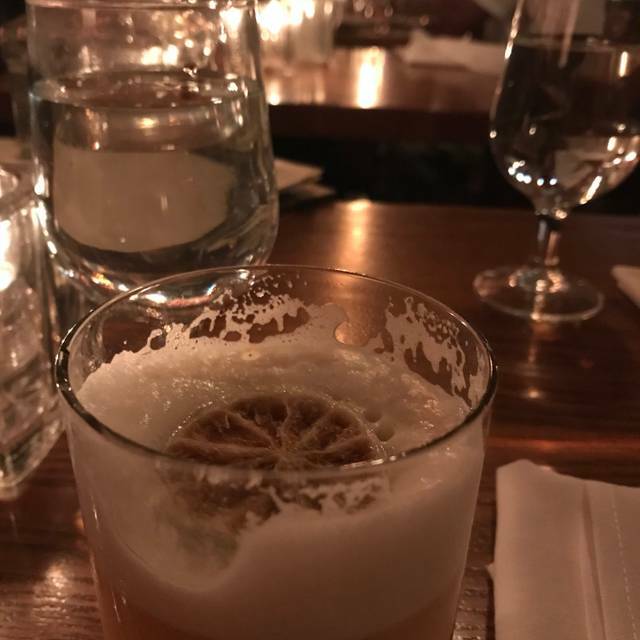 The service was great- the server was able to recommend cocktails that we would enjoy based on our taste in drinks, and she did not steer us wrong. Though the portions look small, I left very stuffed. We had a cocktail each, a shared appy, and I had the duck for dinner. It was exquisite, and I will have to make an excuse to go back soon.